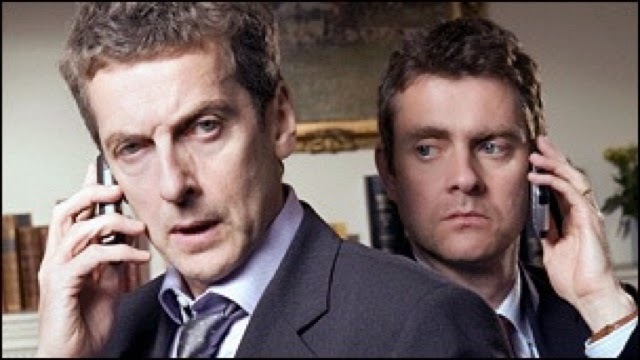 Last night we watched our favourite episode of The Thick of It, Armando Ianucci's savage political satire. It was the hour long special Spinners and Losers, where the action opens with chaos in the government following the resignation of the prime minister and ends with everything exactly the same. Through the night there are comings and goings, characters reveal themselves, loyalties shift, there's lots of swearing and we learn about "Motherwell Rules". But essentially absolutely nothing happens. No one dies, no one resigns and certainly no one gets a pint glass in the eye (though Julius Nicholson gets some cheese chucked at him). My youngest son is doing more and more story writing at the moment. We talked about the old techniques like "suddenly a man with a gun walked through a door" but it is a remarkable skill to just go round in a circle li this. My favourite Tintin book does something similar, The Castafiore Emerald. It is a masterful journey through the skills and temperaments of Tintin and Captain Haddock. It makes pointed observations about prejudice and motive, but in the end we end up where we started.